Good News for 2018 as LG Electronics unveiled its latest LG Gram laptops, and announced they will be officially released at CES 2018 next month. The new variants are based on Windows 10 and with a 72Wh battery that can last for a day on a single full charge. The new LG Gram laptops come in 13.3-inch, 14-inch, and 15-inch display size variants. The notebooks are powered by 8th generation Intel Core i7 and Core i5 processors and will have SSD storage with an optional secondary SSD storage slot. The entire list of specifications for the LG Gram laptops is currently unavailable; more information will be revealed at CES 2018. LG claims that users will be able boost work efficiency as high as 40 percent while booting time will be under 10 seconds. The notebooks have passed all seven MIL-STD 810G durability tests due to the Nano Carbon Magnesium full metal alloy body that is employed on the outer shell. 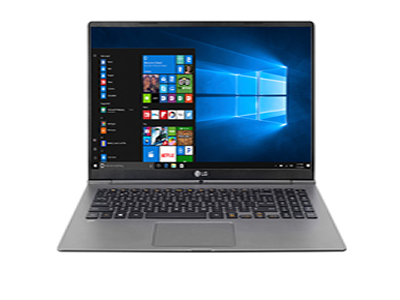 LG Electronics claims that these laptops are 20 percent more durable compared to traditional magnesium products. LG's new Gram series of laptops come with a backlit keyboard, a precision touchpad, touchscreen, and a fingerprint sensor. The notebooks also come with Thunderbolt 3 support and are equipped with DTS Headphone X technology, which provides multi-channel sound of up to 11.1 channels for 1.5W hi-fi surround sound. The 13.3-inch and 14-inch laptops (models 13Z980 and 14Z980) weigh about 965 and 995 grams, respectively, while the largest 15.6-inch version (model 15Z950) weighs in at 1,095 grams. LG also claims a 22.5 hour battery life on the 13-inch model, 21.5 hours on the 14-inch, and 19 hours on the 15.6-inch model. The pricing and availability of the LG Gram range will be revealed at CES 2018.